It is said that an institution is the lengthened shadow of a man. In a very real sense Dr. Thiessen, the first dean of our graduate school, left an indelible impression upon it…Though dead he yet speaketh. His influence continues through his writings and through the lives which he trained for God’s glad service. So stated Dr. Enock Dyrness, Wheaton College registrar, eulogizing Dr. Henry Clarence Thiessen. Born in 1883 in rural Nebraska, Thiessen accepted Christ at 17 and grew steadily in the scriptures as he also proclaimed the gospel to his friends. Thirsting for deeper scriptural knowledge, he entered the Bible Training School in Ft. Wayne, Indiana. After graduating he pastored for seven years in Ohio before accepting a call to teach full-time at the Bible Training School, where he also functioned as principal. Seeking further education, he entered Northern Baptist Theological Seminary, teaching part-time to pay expenses. From there he enrolled at Northwestern University in Evanston, Illinois, then moved to Southern Baptist Theological Seminary for graduate studies, majoring in New Testament Greek. From there he served as Dean of the College of Theology at Evangel College in New Jersey. 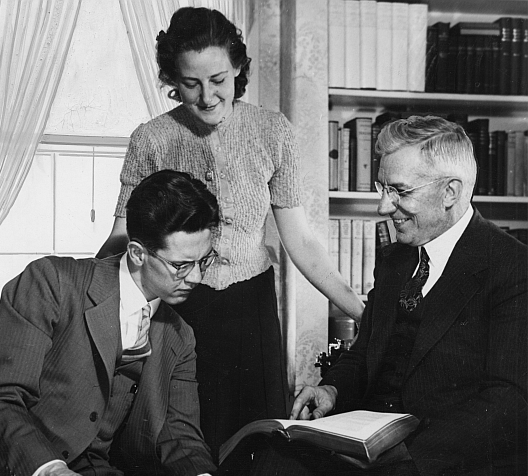 In 1931 Thiessen was hired by Dallas Theological Seminary, instructing New Testament Literature and Exegesis. He taught with distinction until 1935, when invited by Dr. J. Oliver Buswell to join the Wheaton College faculty. Responding with a letter to Buswell, Thiessen recounts his own impressive academic qualifications and that “…there may be a way of realizing my ideal at Wheaton College.” Specifically, this meant an ambition to establish “…a first class theological school of the fundamentalist and premillennial type in the North…” Once hired he started as Professor of Bible and Philosophy; a year later Buswell appointed him Chairman of the Bible and Theology Department. At this time, John Dickey, friend of the college, died, leaving an inheritance to be used expressly for instituting an advanced theological program within six months of his demise. As a result of this gift, Wheaton offered in 1937 its first graduate courses, headed by Thiessen. As the curriculum solidified and expanded, he chose Dr. Merrill Tenney as his associate. 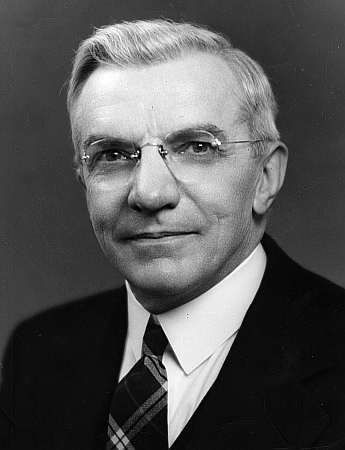 Clark was a supremely capable teacher of unquestioned piety, much-respected by his students, including young Ruth Bell (Graham) who, awash with the over-gushy pietism prevalent during those years, sought his refreshing “logic” and “…his unemotional brilliance…” Faced with intensifying hostility from the administration, Clark finally negotiated a technical resignation in 1942, moving on to a successful career at Butler University. 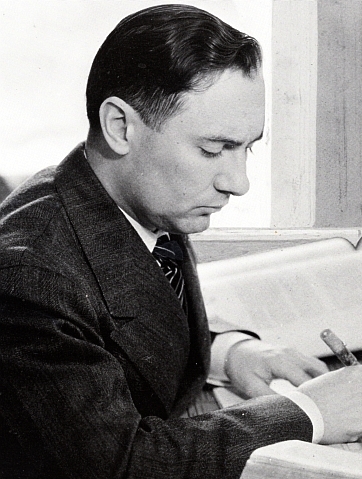 After his firing, Edman reinstated the philosophy major but hired no trained philosophers to teach it, instead opting for theology professors to lead the course until Dr. Arthur Holmes revived the program in 1957. Though the dispensationalists prevailed, they did not necessarily represent the position of all students or faculty. “Thiessenism,” wrote one, “is the only creed of Wheaton’s Bible Department…but a bitterly dogmatic and autocratic one…It’s agree with and memorize what Thiessen and his satellites say – or flunk…Of course, Dr. Clark isn’t the epitome of broad-mindedness – but he is [the epitome] of gentlemanly consideration…I’ve never found him forcing his views on anyone.” Premillennial dispensationalism remained Wheaton’s unofficial eschatological statement for the remainder of Edman’s tenure.